A newly refurbished £6million health facility in Hemel town centre now has a name – The Marlowes Health and Wellbeing Centre. 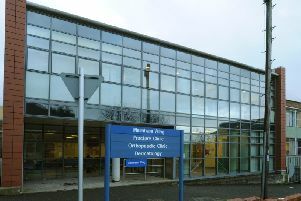 The centre, which is due to partially open by the end of the year, will eventually host community mental health services for adults and children. It will also be home to bladder and bowel care, podiatry, diabetes retinal screening, and nutrition and dietetics. There will also be child services including audiology, occupational therapy and physiotherapy, community dentistry and speech and language therapy. All adult and children’s services will be on dedicated floors, making them easier for patients to find.